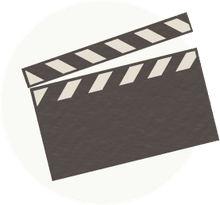 If you could only pick ten films that would best explain the American War on Terror, everything from 9/11, to the wars in Iraq and Afghanistan - what films would you choose? Here's our attempt: ten movies, ten subjects, each of them speaking to a different part of the most recent conflict in American history. United 93 is one of the most frightening films you'll ever see. There's no main characters, no sub-plots - just the morning of September 11th, played out as it happened, with the audience knowing what those on-screen do not: That very quickly, this day will turn into a nightmare. The film cuts back and forth from flight United 93 (where the passengers ended up fighting the terrorists onboard prior to crashing in a Pennsylvania field), to the air control towers where the chaos and urgency of the day overwhelmed everyone. This was the start of the War on Terror, and it's brought to an immediate, urgent, frightening start with this film. This documentary about a group of British men erroneously picked up by U.S. forces and sent to Guantanamo (where they were never charged with a crime and were released after several years in captivity) is important because it represents an important way the U.S. changed as a nation as it fought the War on Terror, namely that the U.S. - for the first time in its history - introduced indefinite detention, enhanced interrogation, and other morally dubious tactics. This was an important transition. In the second World War, German soldiers surrendered because they knew the United States would treat them humanely, provide them food and shelter, and wouldn't torture or abuse them. In the War on Terror, that was no longer the case. Matt Damon stars in this imperfect film, which nonetheless, tells an important part of the story of the War on Terror, namely the Bush Administration's decision to take a sudden jarring left-turn into Iraq, a country that had no role in the 9/11 attacks. Under the pretense of looking for weapons of mass destruction, the U.S. invaded and occupied the country. But just as Matt Damon learns in the film, as it turned out, there weren't any weapons of mass destruction. This would become a catastrophic point - catastrophic in that it turned a legitimate war of defense, into one of aggression, and one that changed world opinion against the United States, while dividing the nation at home. If 9/11 united us, it was the detour into Iraq that divided us. So America enters Iraq and finds out that there were no weapons of mass destruction. What next? Quagmire. That's what happened next. Sectarian violence and revolution and guerrilla warfare against American forces and a country starting to unravel on itself, with U.S. forces stuck in the middle. This superb documentary documents the Bush Administration's failed occupation, enumerating every wrong headed decision along the way. Another documentary on the list, this one focusing on the enhanced interrogation techniques used in Iraq. This is the partner film to Road to Guantanamo, telling another part of the story about how the U.S. embraced a darker side and previously unused tactics in its fight against terror. In Afghanistan, the war goes on and on and on. One of the most important features of the War on Terror is that it doesn't seem to end. More than a decade after U.S. forces first entered the country, America combat troops were still conducting operations more than a decade later (I was one of them). To that end, Restrepo is one of the best documentaries ever made, and certainly one of the best on Afghanistan. As is revealed in the documentary, U.S. strategy on the ground is often questionable, throwing intensive resources into areas of no strategic value, only to reverse decision as soon as the next commander rotates in, and abandon the same ground that previously so much blood was shed over. American Sniper, a more recent addition to this list, adds the elements of recurring deployments, PTSD, and the toll constant deployments take on combat veterans. (It's also a really good action film!) And, a quick factoid on this war film, this is the highest grossing war film ever made. If United 93 was the start of the War on Terror, then Zero Dark Thirty represents - not necessarily, the end, but at least, an important milestone. This Kathryn Bigelow film tracks the multi-year operation to capture Bin Laden, and the film concludes with the covert Navy SEAL mission to capture him in Pakistan. Another flawed film, that nonetheless, tells an important part of the story. A part of the story, not often told: JSOC. Known as Joint Special Operations Command, JSOC serves as the President's personal Army. It operates outside the chain of command of the Pentagon and Congressional oversight, and is active all over the world, carrying out covert missions and killing people, and not always towards ends that can be easily justified. If Afghanistan represents the legitimate, justified entry of American Armed Forces into the War on Terror, Dirty Wars represents where American ended up, in a morally ambiguous role playing worldwide cop without any oversight or accountability. To date, the only documentary that explains this story. 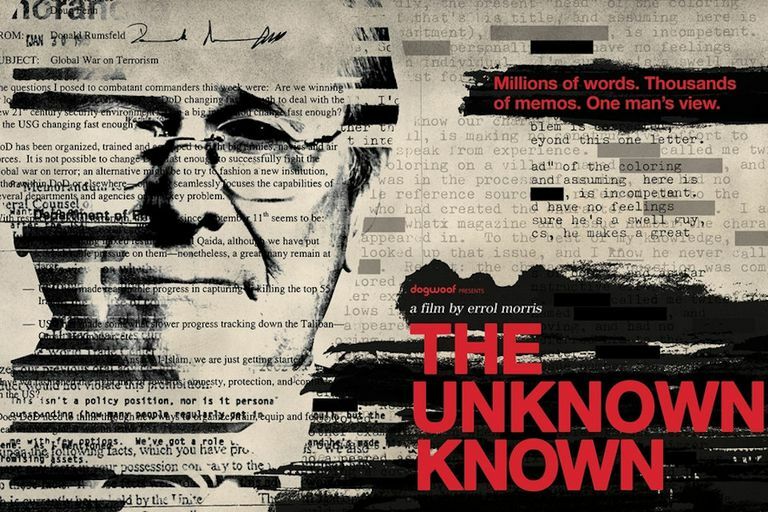 And this is where I'd end our movie list of the War on Terror, with this Errol Morris documentary about Donald Rumsfeld thinking back about his time in the Bush administration and the war in Iraq. With Rumsfeld harboring not a single regret, not admitting to a single doubt, all the while thinking that it's all very amusing and funny.